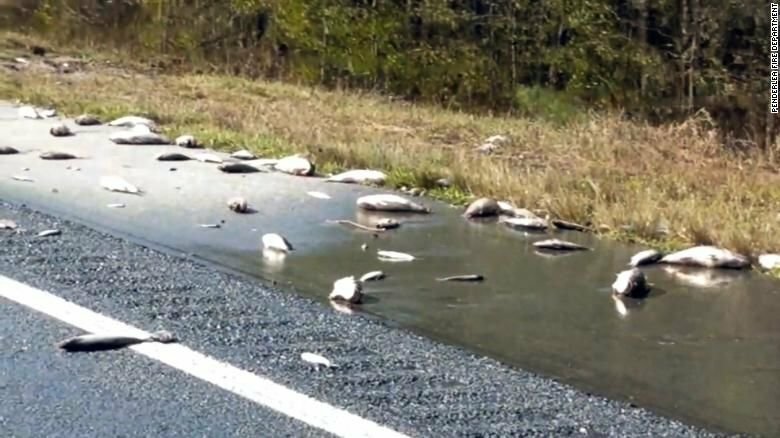 (CNN) — North Carolina fire crews hosing down Interstate 40 after floodwaters receded found a stunning discovery: Dead fish scattered across the highway. “Well, we can add ‘washing fish off of the interstate’ to the long list of interesting things firefighters get to experience!” it said. Last week, drone video captured how flooding from the storm transformed part of I-40 from a highway into a waterway. 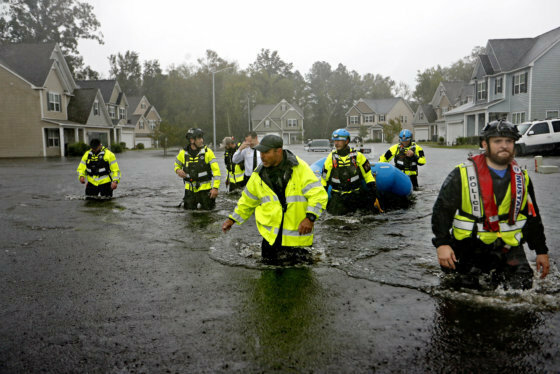 In the video taken as part of the state’s damage assessment, a section of the highway is completely underwater.